Helprin’s swooning and expansive tale of an elderly cellist facing down the demons of his past and the fate of his legacy is dense, dense stuff. Helprin’s vivid, thick, sometimes blustery, sometimes flowery descriptions of people, places, food, wine, and emotions are intermittently wondrous, evocative, illuminating, frustrating, and too often clichéd. Oh, yes, anyone who has been there gets it…Paris is undeniably Hemingway’s Moveable Feast. Strangely, we are rarely present in Paris, as the novel ebbs and flows back and forth in time with sojourns in WWII, the Algerian conflict, and a fantasia version of Los Angeles that was so twee I almost choked on the lalaland pixie dust. There’s war, there’s murder (and some great Parisian detective dialogue), there are love affairs both epic and pained, there are musings on history, philosophy, art, the power of music, insurance, marketing, commerce, cancer, rowing, exercising, racism, politics, life, death and everything in between. It’s all a bit much. Helprin does recapture some of that magic from the opening passage later in the novel, including an elegantly rendered and succinct description of a lovely music student meeting on a park bench the young man who would become the person she spends the rest of her life with, but not consistently enough to make it a truly immersive and complete reading experience. One subplot about a recently divorced history professor who moves from California to Paris and just so happens to run into our protagonist, who instantly falls in love with her (just like he instantly fell in love with his own wife now deceased, a flight attendant, that lovely music student) could’ve been completely exorcised from the novel and not subtracted a thing. But there is another passage so resplendent, where that same lovely music student who later meets the young man on a park bench, is partaking in a delicate emotional dance with our protagonist while promenading through the Tuileries, where we wonder, will this become a lazy May-December romance (which Helprin seems to position as every old man’s fantasy)? Eh, who cares about the trite context? The Tuileries are so vividly rendered both by Helprin and his characters’ dialogue that I couldn’t help but be transported back to Paris…to those very Tuileries…and I was taken right out of the novel…to the Luxembourg Gardens…to Montmarte…to beyond Paris…to Versailles …the countryside…Alsace. To want to go back…to Paris…to France. That feeling…that’s what Helprin, for all his fuss and drama, managed to capture the best. The rest was just filler. 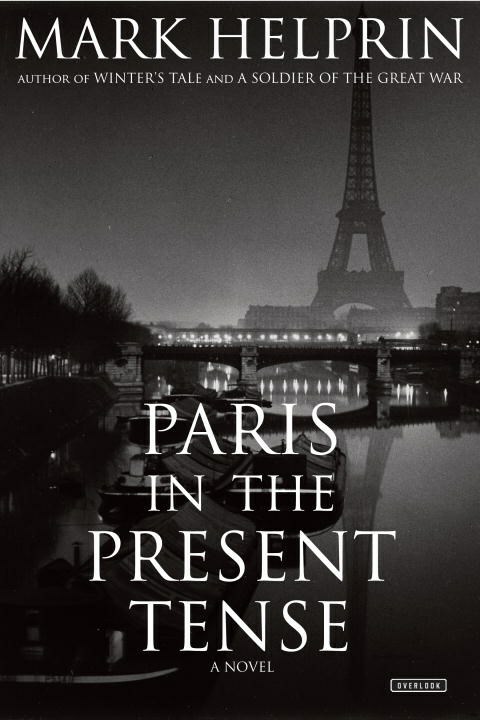 This entry was posted in Art, Book Reviews, Books, History, Inspiration, Literature, Music, Travel and tagged France, Mark Helprin, Novels, Paris, Paris in the Present Tense.